Planet of the Apes is an American sci-fi franchise that consists in movies, books, TV series, comics and games. 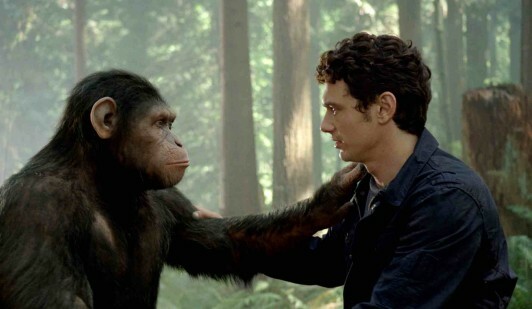 The franchise is about a world in which humans and intelligent apes fight for control. Everything started from the 1963 novel La Planete des singes by Pierre Boulle. The first film adaptation was in 1968, Planet of the Apes, because it was a hit at that time, a number of sequels were initiated. Four sequels followed after the original film. From 1970 to 1973 there was Beneath the Planet of the Apes, Escape from the Planet of the Apes, Conquest of the Planet of the Apes and Battle for the Planet of the Apes. Unfortunately, these sequels did not did not reach the height of the original film. However, two tv series were spawned in 1974 and 1975. In 1975, after the live-action series became a failure, NBC and 20th century Fox adapted the franchise for an animated series. They contracted DePatie-Freleng Enterprise to produce a half and hour Saturday-morning cartoon, Return to the Planet of the Apes. Doug Wildey, the co-creator of Jonny Quest, took the leashes as associate producer, storyboard director and supervising director. He took control on anything that needed creativity. However, Wildey watched only the original film and “Beneath the Planet of the Apes”, thus the animated series were mostly based on these two movies. The show relied on less on the theme and plot developments from Escape, Conquest and Battle. Instead, he relied on the theme and plot of the first two films. The plot was around three American astronauts, Bill Hudson, Jeff Allen and Judy Franklin, who journeyed to Earth’s far future. They find the world populated by three groups, mute humans, subterranean humans (which were fashioned after the mutants of “Beneath”) and civilized apes. The astronauts become increasingly involved in defending humans. The casts that featured the characters were from the previous films and TV series. NBC had broadcasted 13 episodes between September 6 and November 29, 1975. Unfortunately, the show didn’t achieved a particular strong ratings. The network considered in producing more episodes to complete the story, but it never made it. There were plans for a movie remake, but they were stalled for over ten years. 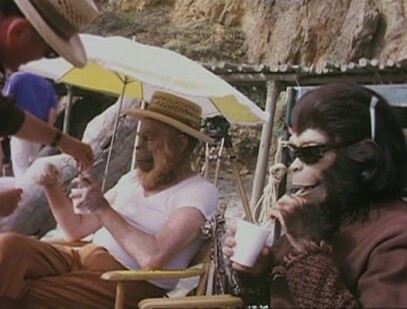 In addition, Tim Burton came with his idea in 2001 with Planet of the Apes. In 2011 a reboot of the film series commenced with Rise of the Planet of the Apes, followed by Dawn of the Planet of the Apes in 2014 and in 2017 by War for the Planet of the Apes. The series, like in the title, made to be critically-acclaimed franchise. Because of this, further narratives have been added in the media, including video games, toys and planned theme park rides. Planet of the Apes has been well received in the eyes of the public and critics alike. The series has influenced other movies, media and art, as well as the popular culture and the political discourse. The franchise isn’t known just for the books and films. The franchise has become more and more popular also because of the comics and video games. The most notable comic belongs to Marvel Comics, Planet of the Apes magazine, published between 1974 and 1977. On the video games part, Planet of the Apes game was developed on an Atari 2600 by Century Fox Videogames, back in 1983. This was the first computer based game of the series. Unfortunately, the game was never released and it was all a prototype. Fox has shut down its game division during the video game crash of 1983. Fox Interactive decided to try again by co-publishing Planet of the Apes game with Ubisoft. Despite the long development, the game made its debut two months after Tim Burton’s Planet of the Apes film. 20th Century Fox gave another shot by partnering with NetEnt to create Planet of the Apes slots game. The game is based on the Rise of the Planet of the Apes and Dawn of the Planet of the Apes films. The interface of the slot game has two areas, Rise and Dawn. Planet of the Apes is a 10 reel slot game from Net Entertainment, which was produced in association with 20th Century Fox. The drawing inspiration is coming from the Rise of the Planet of the Apes and Dawn of the Planet of the Apes movies. The player will journey between two phases of Ape Army leader Caesar’s life. This time Fox managed to publish a game with good reviews, even if its gambling related. The slot game itself looks fantastic, because the screen showcases the settings from the 2 newer films. Players can meet the characters as the apes from both movies. Those who tried this slot game said that it is visually stunning with authentic sounds and voices that match the films. The viewer is welcomed by a Planet of the Apes logo where it also specifies “an association with 20th Century Fox”. Shortly after that, players can see the intro of the game, how it looks like, how it works and scenes from both films are also added into the intro. The scene is closed once again by the Planet of the Apes logo with Caesar in the background, matching the colours of the logo and dark background behind it. The gameplay seems to benefit from the dual reels, because it combines elements from the two Planet of the Apes films. The left side on the screen, you will see the Rise of the Planet of the Apes with a bright, almost hopeful theme. And on the right side of the screen is Dawn of the Planet of the Apes, that has a much darker, almost apocalyptic background. The mission? Join Caesar and lead a band of apes towards their Promised Land. The slot game is one of the best branded titles from NetEnt and one of the most well known slot games found in online casinos. Fox have been thinking to extend their newer trilogy of Planet of the Apes. The story seems finished with War for the Planet of the Apes, however that does not stop Fox to press ahead. THR reports that the studio is considering making a spin-off movie with one or more ape characters that we are familiar with. The whole idea consists that there are other apes that don’t benefit from Caesar’s leadership. 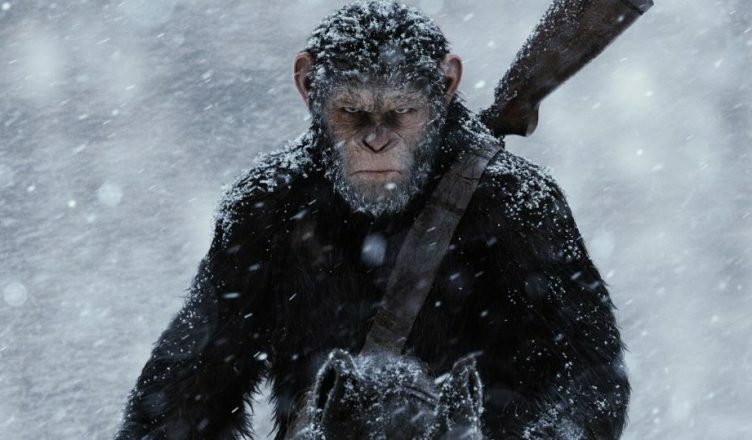 The director from War of the Planet of the Apes, Matt Reeves says that the conflicts of the future are not going to be humans and apes, there will be only apes and apes. He wanted the seed that idea, because he thought that there were a lot more stories and there are characters that he had grown to love. In addition, Reeves and producer Dylan Clark also mentioned that they had talked about extending the story beyond the trilogy. They even have ideas about where the story should go. They know the ending, what it has become of Planet of the Apes, the cool thing that started in Rise is no longer about what is happening. It is more how is happening. And the stories about how is happening are always about the psychology and characters. They want to do stories that were not done.